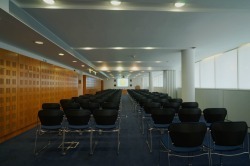 Book a meeting or event taking place at Congress Centre before the end of January and receive 5% off your final bill! Offer subject to availability and valid for new bookings only. Minimum number: 20 delegates. Please mention this offer at time of booking.